Is a lack of lighting knowledge hurting your sales and performance? Do you feel confused and ill equipped for the position you are in? We have over 20 years of teaching experience in lighting and design. We can help you become confident and educated about the various areas of lighting and design. Teaching has been a part of our founder’s career since he began in the industry in 1998, teaching to diverse groups from high school students to seasoned lighting professionals. We can provide training for your team in many areas including general lighting, photometry, applications and advanced topics. Training can be for large or small groups. Let us enlighten your team where they need it. 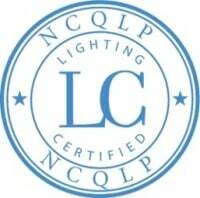 We have taught at several internal company wide classes with Lithonia, Lighting Analysts, and Peerless. We have also been fortunate to teach IESNA ED150 courses as well as being a regular instructor at the IES Street and Area Lighting Conference. We have also presented at conferences and seminars on a variety of topics. If your group has a need for an established speaker on the topics of photometry, design, or IES Documents feel free to contact us for more information. Please see our CV for examples of classes we have taught. Matt has an engaging and interactive teaching style. His classes are very informative, and also entertaining. One of the strengths that Matt brings to the courses is in wide range of knowledge that goes beyond roadway and exterior lighting. He encourages his students to ask questions in order to understand the art and science of lighting, but also keeps the class moving forward. Matt has consistently been ranked high as an instructor, and his classes have been ranked high year over year. Matt has also presented at the SALC as a speaker for over 600 attendees and received high reviews as well.